Here is one artist who certainly used photography for social good. Hine “represents the beginning of a long tradition of politically engaged, social documentary photography, so called “concerned photography”… He firmly believed that every person, every individual, was worthy of respect, and he believed photography to be the best tool for clearly and visibly expressing this view.” Bravo to him. Unfortunately, like so many of these visionary and revolutionary artists, Hine died in 1940, completely impoverished. As a society, why is it that we don’t value these brave human beings until years after they have passed? Is it because of petty jealousies, the rush of life, people in positions of power too long or a lack of understanding of the visionary nature of their work? Or is it just that time passes them by. I would like to pose this question. “To what extent can images effectively combat injustice and social inequity? The American photographer Lewis Hine (1874-1940) offered an early answer to this question through his work. Trained as a teacher and sociologist, he ardently wished that Americans would become conscious of the injustice of American labor laws. He also firmly believed that every person, every individual, was worthy of respect, and he believed photography to be the best tool for clearly and visibly expressing this view. His work represents the beginning of a long tradition of politically engaged, social documentary photography, so called “concerned photography.” His photographs of immigrants from Ellis Island, child labor in American factories, and the construction of the Empire State Building high above Manhattan have become major icons of the 20th century. Simultaneously, the photographs also point to the fact, that the documented problems have not lost their currency, even one hundred years later. Today, even in Europe, we are experiencing intensive migrations, which will continue to increase in the future. Here we are not confronted with child labor, because we have transferred the kinds of industrial production that used child labor to distant countries. Accidents in non-European factories indicate the risky conditions under which our consumer goods are still produced today. Hine’s photographic eye and his black and white images form a trajectory that leads directly to the present. 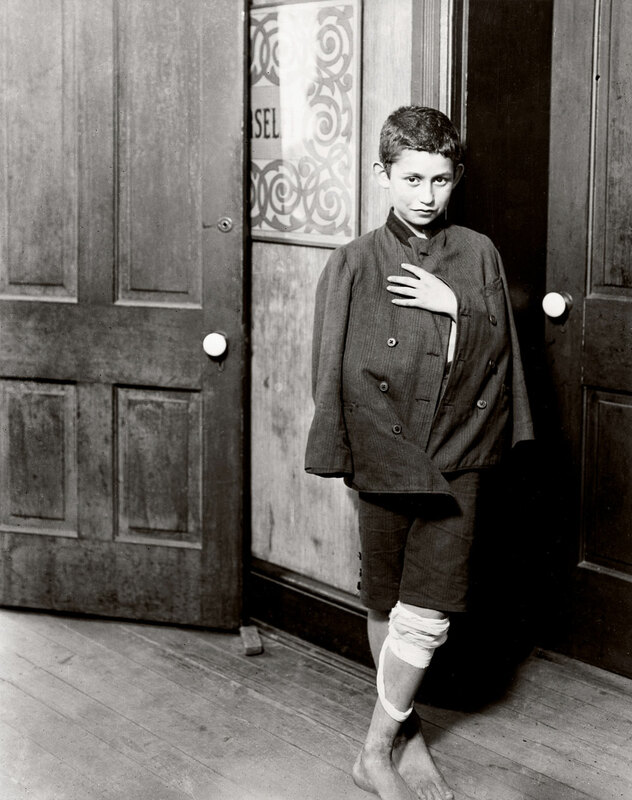 Lewis Hine grew up in a family that owned a simple restaurant in the small town of Oshkosh, Wisconsin. He lost his father at age 18 due to an accident. He provided for himself and his family first as a factory worker in a furniture production company and then as a doorman, salesman, and bookkeeper. 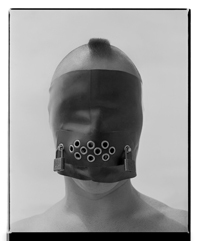 After training as a teacher and studying sociology at the University of Chicago, Hine moved to New York, where he first came in contact with photography while teaching at the Ethical Culture School. Using the camera in his lessons, he made portraits of immigrants on Ellis Island in conjunction with a research project. From then on Hine viewed his camera as a weapon for revealing social injustice and effecting change through the power of images. With this motivation he traveled some 75,000 km through the United States for the National Child Labor Committee (NCLC) and photographed children at work in the fields, mines, factories, mills, and on the streets. His photographs played no small part in raising awareness for child labor and instigating initial reforms. They also represented some of the earliest and most significant contributions to the social documentary genre of photography. During the construction of the Empire State Building Hine was commissioned with documenting the phases of construction over the course of six months in 1930/31. 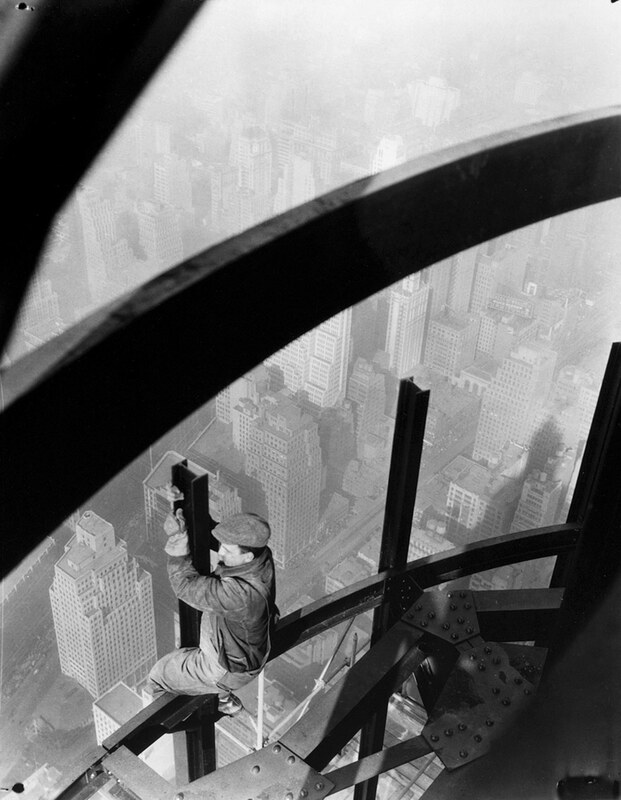 In over one thousand photographs he recorded the perspective of the construction workers and their hard work on the ultimately 381 m high building. 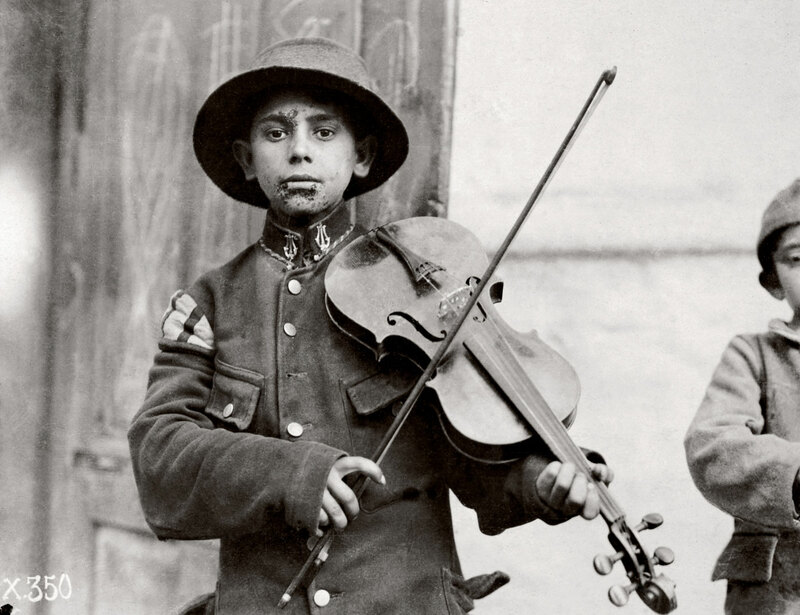 Despite his early success and the use of his images by many governmental agencies, Hine died in 1940, completely impoverished, after an operation. Something that you really don’t get in reproductions is the absolutely beautiful tonality of Hine’s social documentary photography. Even less so when the images provided by the institution are degraded by scratches, dust, spots and colour irregularities. Despite these media images being 300 dpi when I received them from the museum media department they were in very average condition. For example, the image of Christmas Fiddles (below) was in such poor condition when enlarged that I had to spend over half and hour cleaning up the image to make it pictorially legible to the viewer at a larger size. This is not an unusual occurrence and, unbeknownst to the readers of the blog, I spend many hours quickly cleaning the digital files before they are presented to you. Some individual images and sets of images are of such poor quality that I simply cannot use them at all. I will do a posting on this issue soon, but suffice to say that museums that spend thousands of hours and dollars staging impressive photographic exhibitions really let themselves down in the promotion of the exhibition if they provide dodgy scans and unusable media images to people that promote the exhibition for free. In this world of media saturated images it should be the norm that the “quality” of the image outweighs the indifferent quantity. With faster and faster download speeds larger images can be viewed more readily online and therefore scans provided by institutions must live up to this enlarged capacity. Hopefully you can get some idea of the work of this socially conscious photographer, an American photographer who saw the camera as both a research tool and an instrument of social reform, whose images helped change the world with regard to child labour. Unfortunately success and reputation counted for nought. He died totally impoverished in 1940, shortly before a resurgence of public interest in his work raised him to the highest level of American photographers. What an infinite sadness. Many thankx to the Netherlands Museum of Photography for allowing me to publish the photographs in the posting. Please click on the photographs for a larger version of the image. 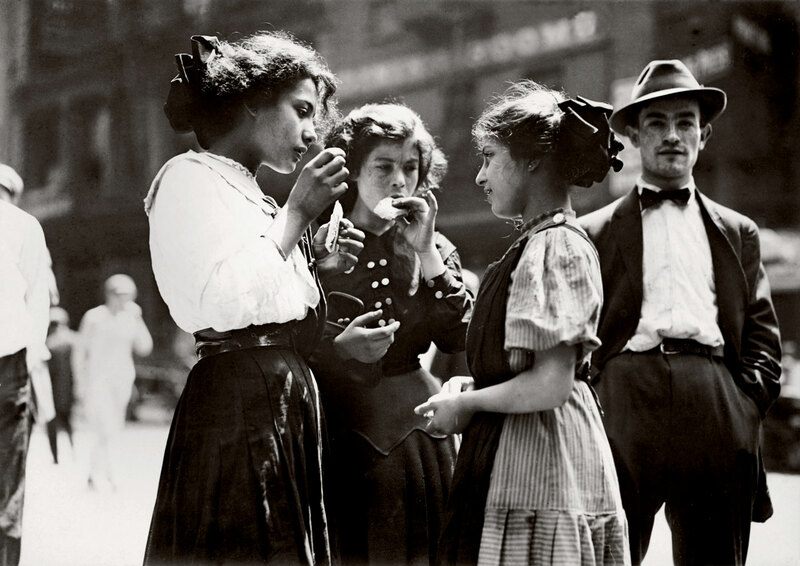 “From 15 September 2012 to 6 January 2013, the Netherlands Museum of Photography will present the first large retrospective in the Netherlands of the work of the renowned American photographer Lewis Hine. Hine was an enthusiastic photographer who wished to improve people’s lives through his photos. 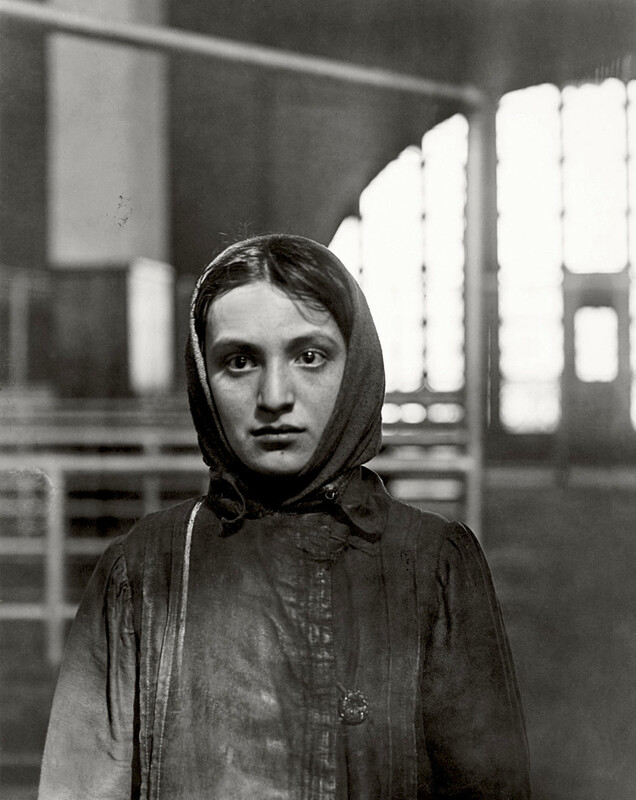 His pictures of immigrants on Ellis Island, of child labour, and of workers busy on the Empire State Building high above New York belong to the visual icons of the 20th century. The internationally touring exhibition contains more than 200 photos and documents, many in their original state and originating from the collection of the George Eastman House in Rochester, New York State. 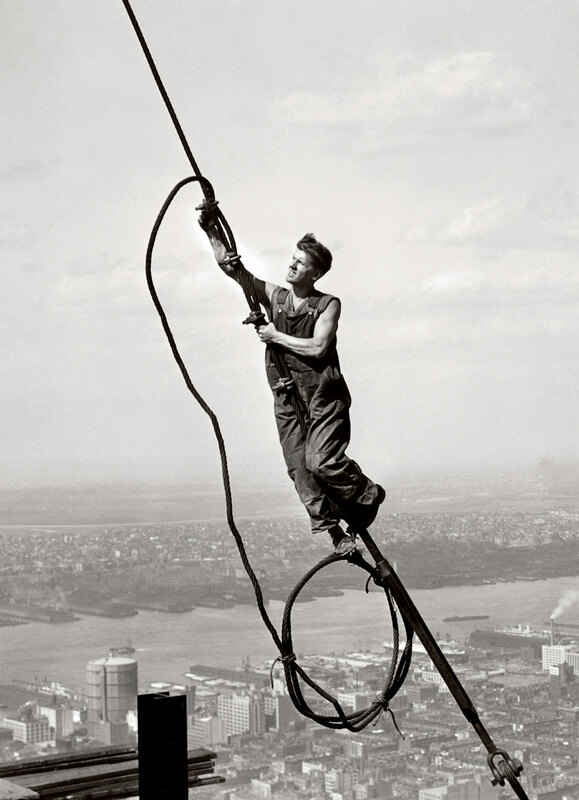 Lewis Hine is an initiative of three European institutions: Fondation Henri Cartier-Bresson (Paris), Fundación MAPFRE (Madrid) and the Netherlands Museum of Photography (Rotterdam). It is with great pride that the Netherlands Museum of Photography can now present this exhibition that harmonizes perfectly with its aim to pay attention to the canon of international documentary photography. 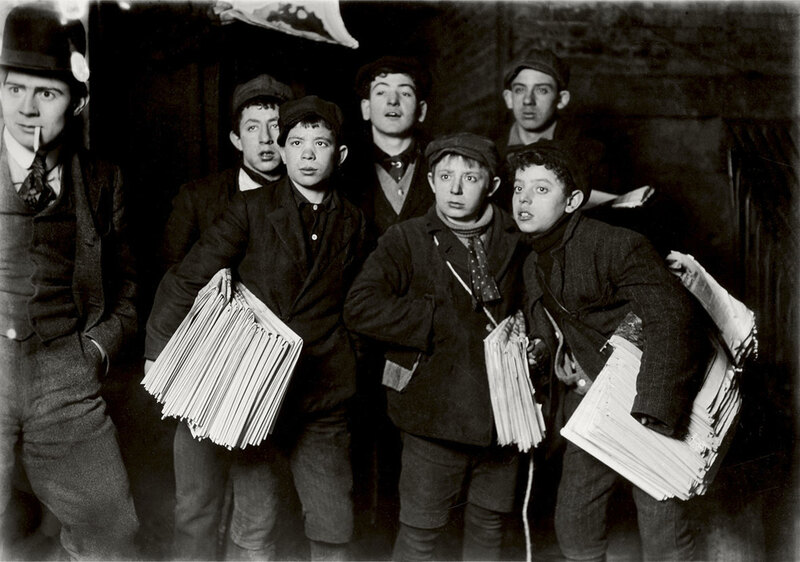 Lewis W. Hine (Wisconsin, 1874 – New York, 1940), a sociologist and photographer, belongs to the group of famous photographers such as Joel Meyerowitz, Robert Frank, Robert Capa, Eugène Atget to whom the Netherlands Museum of Photography has previously devoted impressive exhibitions. 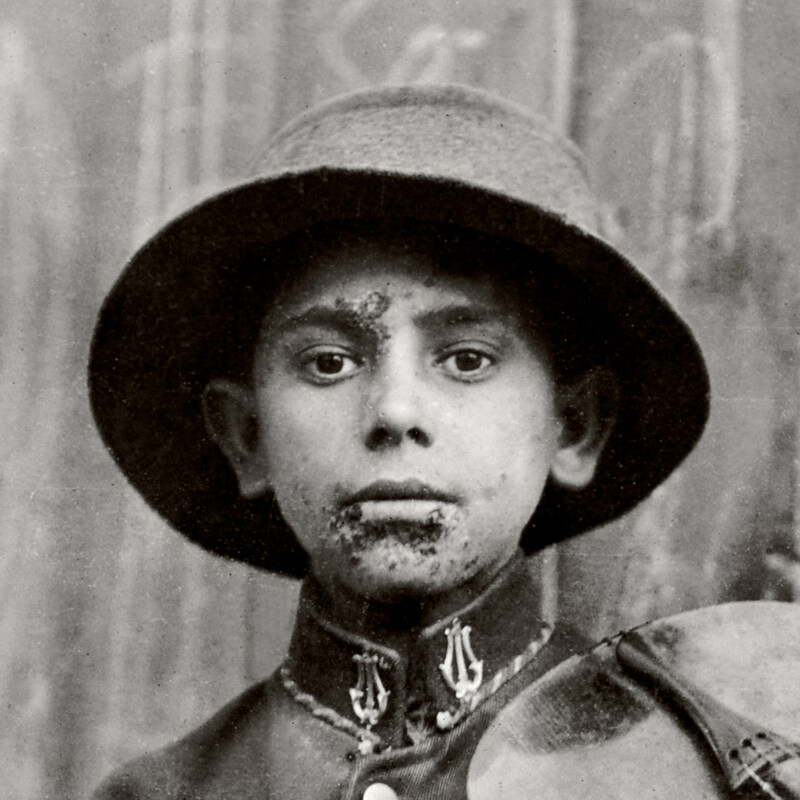 Hine is known as a 20th-century pioneer of social documentary photography. It is characteristic of Hine that he strongly believed in the camera’s powers of conviction. Thus, armed only with a heavy camera he fought for social justice. For the National Child Labor Committee he travelled more than 75,000 kilometres through the United States to photograph children working in agriculture, the mines, factories, sewing attics, and on the streets. His photos were partly responsible for reforms in these fields. The themes in Hine’s work – child labour, situations of human indignity, and the vulnerability of immigrants and refugees – are still current. 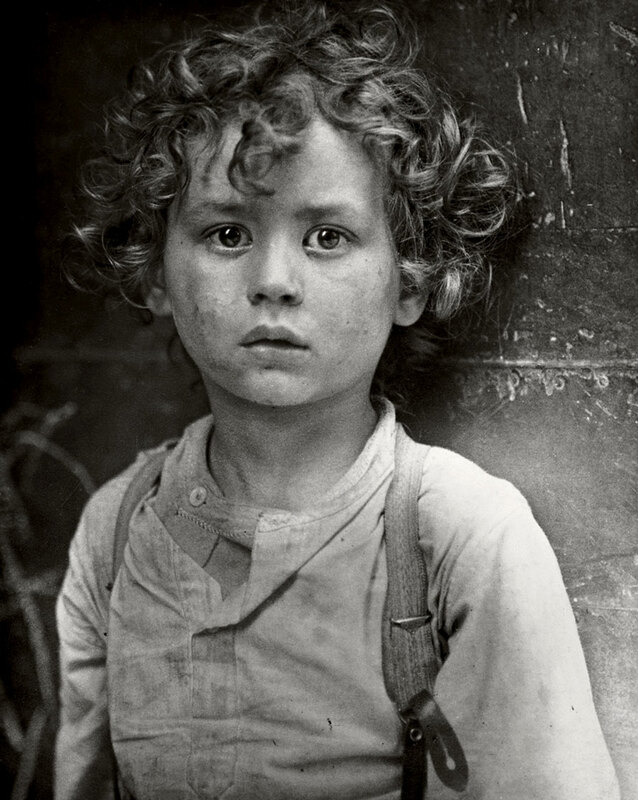 Despite his present reputation, his early successes and the fact that many governmental organizations made use of his photos, he died totally impoverished in 1940. 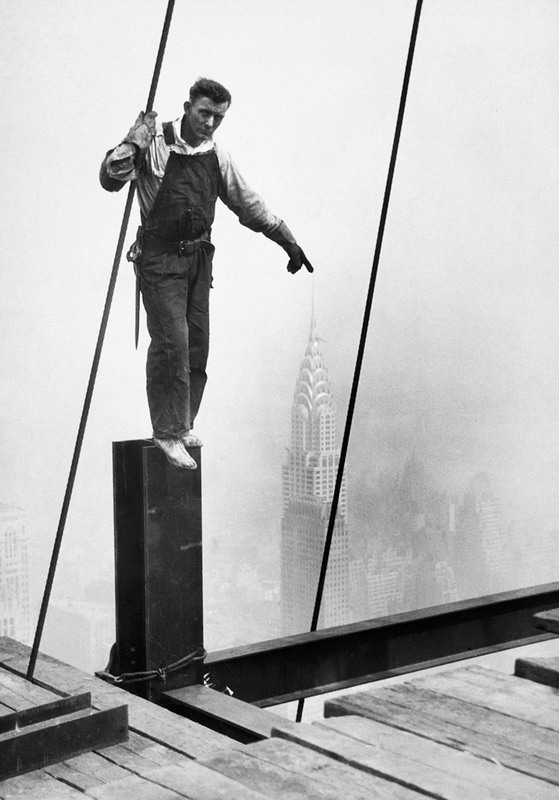 In 1932 Lewis Hine published the famous photographic book entitled Men at Work, which covered the construction of the Empire State Building. From the most audacious vantage points he took photos of the 381-metre building, showing the strength and willpower of humankind, man’s contribution to industry. The tall buildings on the Wilhelminapier have determined the skyline of Rotterdam for many years, just as the Empire State Building did in New York around 1930. The Wilhelminapier is now under full development. De Rotterdam Building, designed by Rem Koolhaas of OMA (Office for Metropolitan Architectural) will be completed in 2013-2014. The photographer Ruud Sies has followed the genesis of the largest building in the Netherlands for four years now. 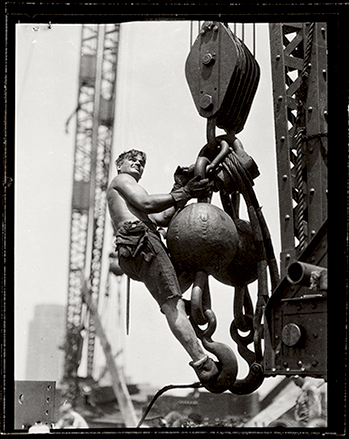 The project entitled Building the Rotterdam – a work in progress by Ruud Sies was inspired by the work of Lewis Hine and establishes the connection with the Wilhelminapier as a historical location. To the Netherlands Museum of Photography, this is a reason to include this project in the exhibition of the work of Lewis Hine. 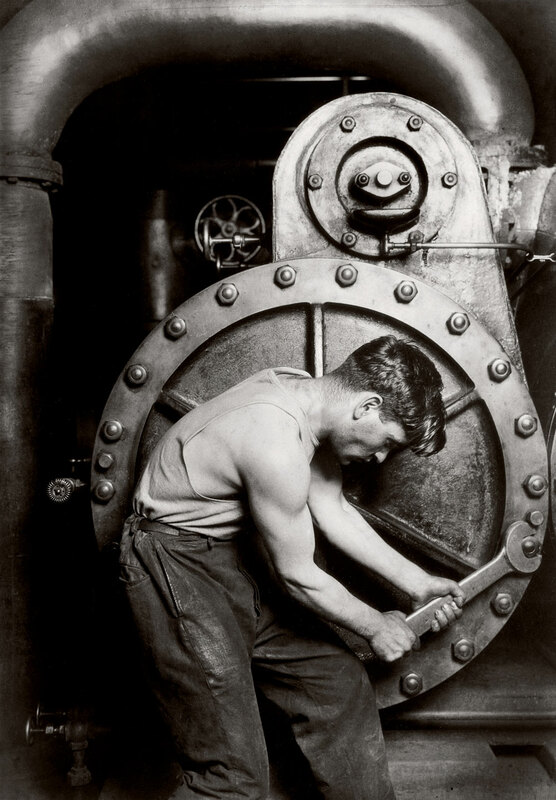 “Lewis Hine was born in Oshkosh, Wisconsin, in 1874. He moved to New York City in 1901 to teach at the Ethical Culture School. 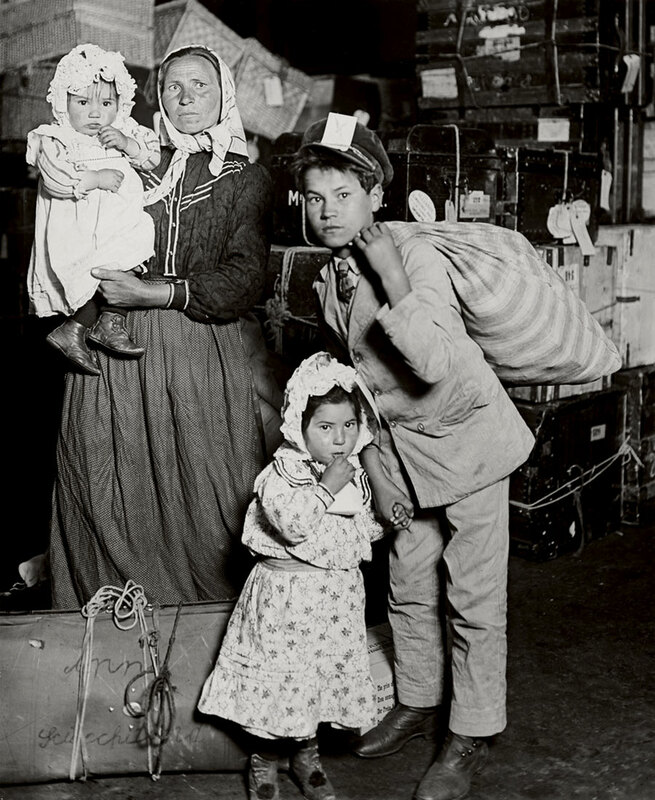 There Hine used photographs as educational tools, and soon began to photograph immigrants at Ellis Island. He hoped his photographs would encourage people to “exert the force to right wrongs.” While continuing to teach at ECS, Hine began to do freelance work for the National Child Labor Committee, an association that transformed his professional life. 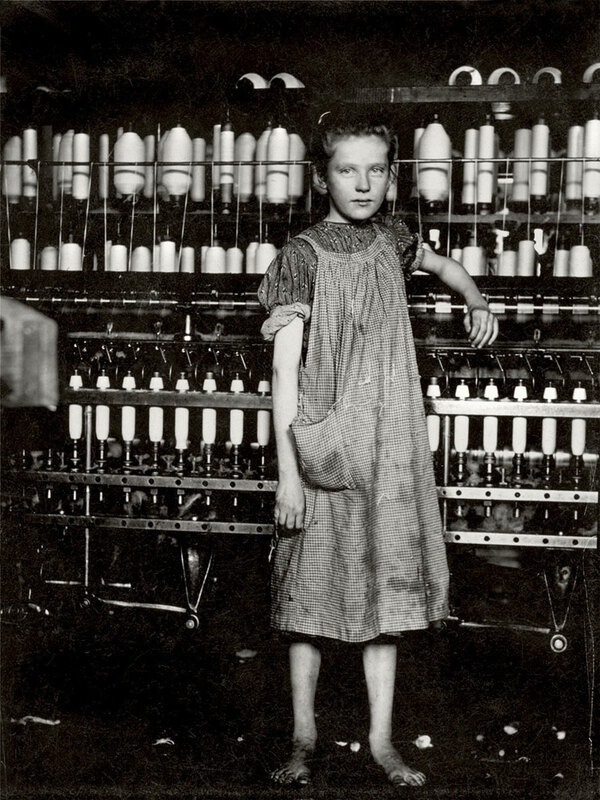 In 1908, the NCLC provided Hine a monthly salary to photographically document children in factories, mills, canneries, textile mills, street trades, and agricultural industries. Through his photographs he sought to alert the public to the extent of child labor in America, and the degree to which it denied these children their childhood, health, and education. In one year, Hine covered 12,000 miles in his quest to end abusive child labor. By 1913, Hine was considered the leading social welfare photographer in America. Hine enjoyed a long and successful career following his work for the NCLC. 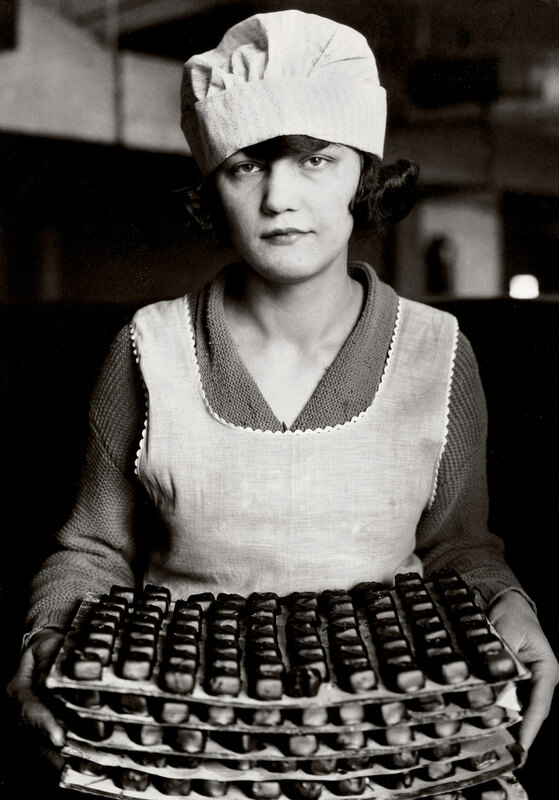 He worked for the American Red Cross (1917-20), photographing refugees and civilians in war-torn Europe, a new series of photographs of immigrants at Ellis Island (1926), a series of photographs documenting the construction of the Empire State Building (1930), photographs of drought-ridden communities in Arkansas and Kentucky (1931), as well as work for the Tennessee Valley Authority.